I’m still on a high from learning how to create candlelight using Maxwell Render. This can only mean one thing: I’m now increasing the risk of fire hazards left, right and centre in my 3D visuals. I can’t help it. I’ve tried! But I’m still so taken with the novelty of creating warming and relaxing candlelit scenes that the urge to include candles everywhere is just too overwhelming. I may have to continually monitor this situation to ensure it doesn’t become a problem. Like when I’m creating a 3D visual of another office space and I (accidentally) place a chocolate scented candle on the Director’s desk; or (inadvertently) have a few tea-lights scattered around a rowing machine in a gym… or when I’m creating an exterior scene and (absent-mindedly) line a driveway with huge, melodramatic pillar candles. 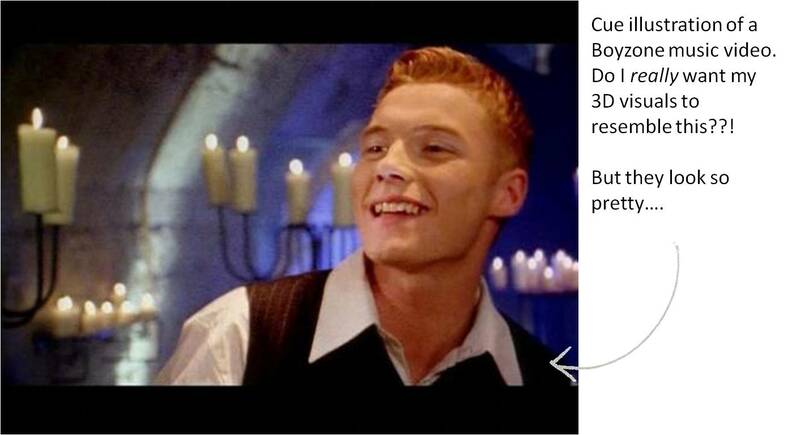 All of my 3D visuals are at EXTREME risk of resembling a Boyzone music video; I’m as sure as the sweet, sickly aroma of a strawberry scented candle that I really don’t want to enter that territory. There’s only one way to deal with my new found obsession and that’s to overindulge to get it out of system once and for all. And there’s no better way than to grab my most hated interior and give it the ‘Boyzone’ treatment. Yep, I’m singling out that blasted John Pawson (bathroom) interior again. In a previous blog post I discussed how lacking it was in ambience and atmospheric qualities because of its minimal aesthetic, hard lines and use of stone. The original John Pawson bathroom. A little ‘boxy’ and harsh, don’t you think? So I replicated the interior via 3D modelling and rendered it – but I included subtle lighting and it made a huge difference. Can you imagine how fantastic it could look with zillions of candles??! I did what any self-respecting interior design undergraduate would do – I experimented and probably undermined what John Pawson was trying to achieve with this style of design and added ambient lighting. Right or wrong; it transforms the entire space. Well wonder no more folks!! Here it is; one of the celebrated minimal interiors of John Pawson has been given a girly overhaul thanks to yours truly. I mean, all this scene needs is a few rose petals, a glass of wine and ’50 Shades of Grey’ sitting by the bath to transform it into a haven for a modern day gal. John Pawson would be so proud of you! Hehe! The new bathroom looks amazing! Thanks! Although I have a feeling that he might not appreciate my girly interpretation of his interior! !